Peter Alonso went 4-for-5 with two home runs, four RBIs and four runs scored. Recently, the Mets said Peter Alonso, their No. 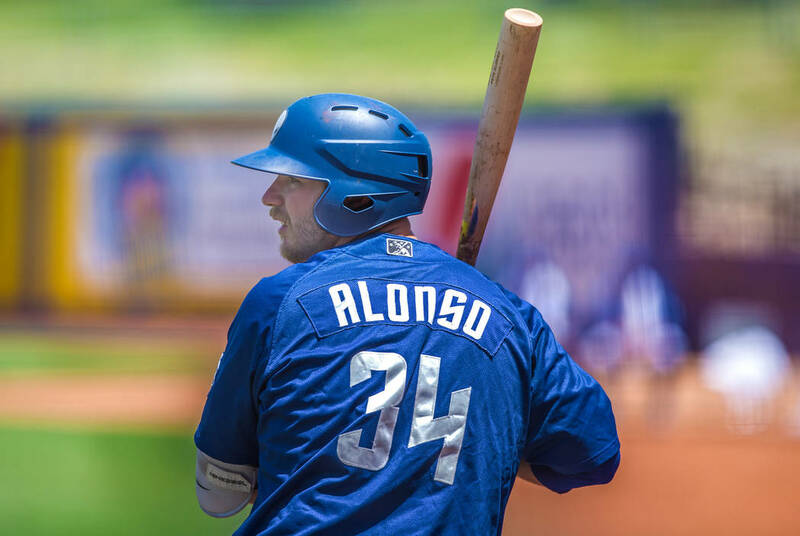 2 prospect and the 51s’ first baseman, wouldn’t be called up as rosters expand on Sept. 1, even though Alonso has put up big numbers in Double-A and Triple-A. So Alonso did the only thing he could: He got back to work. On Friday, on a night where the Mets got shutout in San Francisco, Alonso went 4-for-5 with two home runs in an 11-2 win over Sacramento, San Francisco’s Triple-A affiliate, in the series opener at Cashman Field. Alonso helped key a Las Vegas (69-68) offense that pounced early on Sacramento (54-83) starter Mike Connolly. Connolly went just two-plus innings and gave up nine runs, eight earned. In the first inning, Las Vegas scored four runs thanks to back-to-back RBI singles from Alonso and Dominic Smith and a costly error that plated two more runs. Alonso added a two-run blast in the second and a solo shot in the sixth while Zach Borenstein and Colton Plaia also homered, both in the third inning. Each of them drove in two runs in the win. Starter Matt Gage threw better in his second start for Las Vegas than his first, going six-plus innings and giving up two runs on six hits while striking out 10.